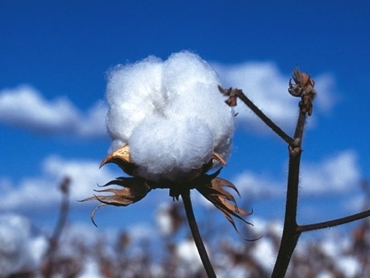 Kenso Agcare commissioned independent trials to determine if there was any discernable difference in phytotoxicity and yield effect from the application of a number of glyphosate formulations over Round-Up Ready cotton. Small plot trials were established in a commercially sown field of upland cotton at Narrabri in 2010 to compare the crop safety of glyphosate formulations applied as a foliar spray. The variety present in the field was Sicot 71BRF, which contains the Monsanto genes of Bollgard II and Roundup Ready Flex. Ken-Up Dry 680 and Roundup Ready herbicide were each applied at 170, 340 and 1350 gai/ha and crop safety was recorded through a phytotoxicity assessment. Boll counts were also conducted at maturity to capture any yield effects. The herbicide application was made early February when the cotton was standing at 21-22 nodes. At 8 DAA (Days after Application), the high rates of Roundup Ready showed a statistical increase in leaf damage when compared to other treatments including Ken-Up Dry 680. All treatments showed a statistical increase in leaf damage when compared to the untreated control. Despite this, the damage seen was only slight (5-15%). At 14 and 22 DAA all phytotoxicity levels were decreasing; however, the high rates of Roundup Ready continued to show statistically greater leaf damage than other treatments. There was no statistical difference in boll counts at maturity, confirming that the early phytotoxicity did not have any effect on fruit retention. The top rate (1350 gai/ha) of Roundup Ready herbicide caused 20-26% phytotoxicity 8 days after application. All other treatments caused slight but detectable phytotoxicity. All damage in all treatments was transient and all plants quickly recovered. There was no difference between all treatments in the number of bolls per metre, which confirmed that the damage seen earlier was not commercially significant. The results confirm there is no clear difference in crop safety between the formulations of Ken-Up Dry 680 and Roundup Ready tested. Some initial damage was seen in all plots; however, this was slight and transient, with no effect on final yield potential compared to the untreated control. Ken-Up Dry 680 is not registered for over the top application of Roundup Ready cotton. These trials were conducted for research purposes only. Ken-Up Dry 680 is registered for use in cotton with shielded sprayers or as a pre-harvest aid, as per Ken-Up Dry 680 label.